Author Jake Arnott traces the history of corruption in the Metropolitan police, from Dixon of Dock Green to Line of Duty. What’s changed? From the lone corrupted officer, often characterised as a single “bad apple”, to the “Fall of Scotland Yard” and the realisation that a barrel of bad apples might be a better metaphor, Jake hears about whistle blowers’ lives ruined and murder cases blighted by police corruption that still reverberate to this day. 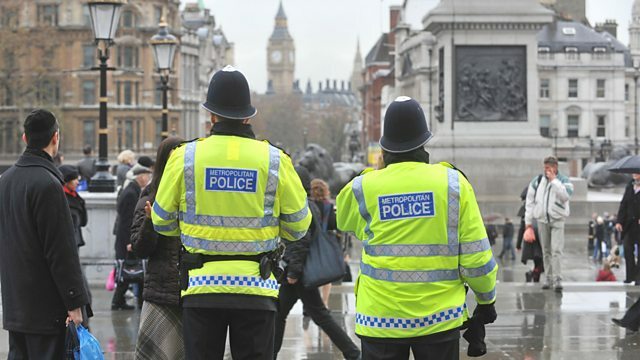 He speaks to Steve Noonan from the Independent Office for Police Conduct, the body now responsible for tackling corruption in the force, and asks whether he’s right to suggest that institutionalised police corruption is a thing of the past? Writer GF Newman (‘Law and Order’, ‘Judge John Deed’) and sociologist Sarah Moore explore police corruption in fiction – why are we so obsessed with watching bent coppers on TV? And journalists Martin Short and Graeme McLagan reveal the role of journalists in holding the police to account.